THE ASK: RESPOND TO RISING TENSIONS ON THE UNIVERSITY OF OREGON CAMPUS. THE STRATEGY: CONNECT WITH PEOPLE WHO DON'T ALWAYS SEE THEMSELVES AS CHANGE MAKERS AND SHOW THAT EVERY PERSON HAS A ROLE IN MAKING THE WORLD BETTER. THE WORK: WE WORKED QUICKLY AND PASSIONATELY TO DEVELOP AN INITIATIVE, WIN UNIVERSITY SUPPORT AND PARTNERSHIPS WITH 16 DIFFERENT ORGANIZATIONS, PRODUCE CONTENT, SPREAD THE MESSAGE AROUND CAMPUS AND PROMOTE OUR WORK TO THE MEDIA AND OTHER SCHOOLS. 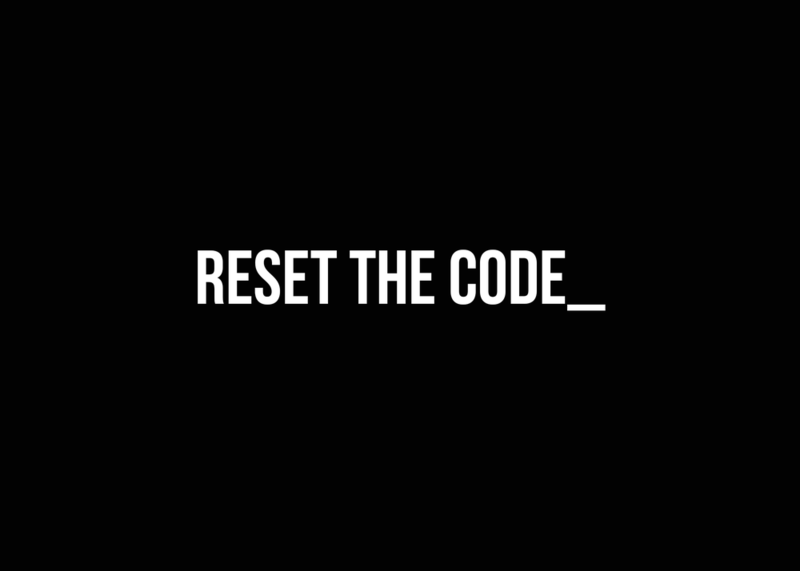 WE POPULATED RESETHECODE.COM as well as facebook and twitter aCcounts with videos showing how injustice affects people in our community and that just one individual can make a change. FiNALLY, WE ASKED PEOPLE TO COMMIT BY SIGNING THE PLEDGE ONLINE ON A BANNER TO BE HUNG IN THE STUDENT UNION. In JUST ONE WEEK, OUR FACEBOOK PAGE ALONE REACHED 150,000 PEOPLE, OUR VIDEOS EARNED OVER 67,000 VIEWS AND WE GOT LOCAL AND NATIONAL NEWS COVERAGE.